Today I have a guest post on Andrew Knighton’s wonderful writing blog. 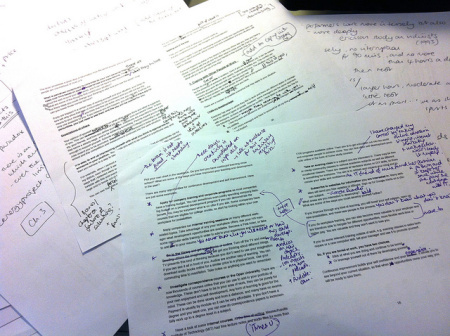 I am sharing some tips on how to minimize the costs of professional editing. If you’re thinking about publishing a book but have been daunted by the thought of overwhelming editing expenses, I encourage you to take a look! I checked it out! It was good. Question – any ideas on finding an editor and especially finding one with some references, i.e. some authors who can vouch for them? One thing I worry is the possibility that someone might take my money and then be like, “Uh yup, looks real good! Thanks!” and then that’s it. A good place to find an editor is through a professional editorial association website. (I talk more about that in my post link above.) Most of these editors will have some form of references or testimonials that you can ask for. If you’re a member of a writer’s group, you can ask who has worked with good editors, and get some names. And you should definitely obtain a sample edit of your work before you go forward with a full editing contract or make any kind of significant payment. If you have any other questions, let me know. I’m happy to help!